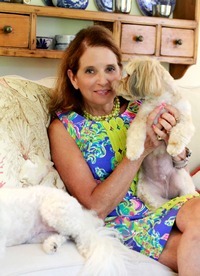 Patti Sagman is a lifelong dog lover. She has served as a medical technology staff writer and editor for The Dog Food Advisor since July 2008. Patti studied biology and chemistry at Longwood University. In addition, she earned a Bachelor of Science degree in Medical Technology from the Medical College of Virginia of Virginia Commonwealth University. Patti Sagman is a Registered Medical Technologist. She’s board certified by the American Society of Clinical Pathologists. Mrs. Sagman has served as Tour Chairman of The Green Springs Garden Club Annual Williamsburg Christmas Homes Tour. When not enjoying time with her eight grandchildren, she can be found on Facebook and Pinterest. Her husband, Mike Sagman, is the managing editor of The Dog Food Advisor website.